« Amos Lee talks about recording “El Camino” with Willie Nelson. Opening his set with “Whisky River” Willie Nelson kept the music train rolling for us on the last night of July 2011. 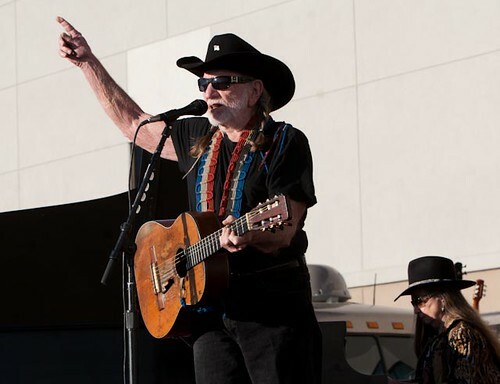 The sun was shining down on us with the perfect breeze as the crowd sat in their seats and respectfully loved every song Willie Nelson performed for us tonight. It was a relaxing night of music, that often I caught myself swaying my hips too. The only thing that was missing was a dance floor. 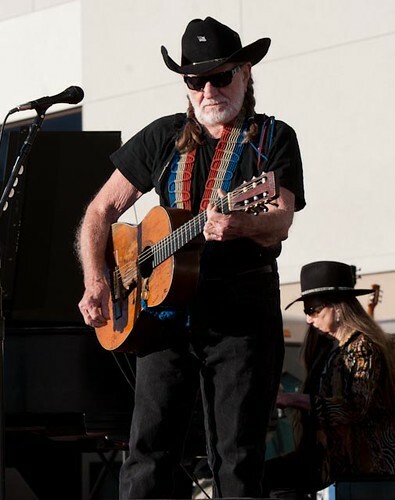 I couldn’t believe that Willie Nelson still plays “Trigger!” For those of you unfamiliar with Trigger, it is Willie Nelson’s Martin N-20 Guitar; which is so old it has a hole in it! If you can ever get close enough Trigger is even inked with over 100 signatures. Such a cool piece of Willie Nelson. Willie Nelson causally stood on stage singing and playing his guitar the entire night. He had a stripped down band on stage with him that featured a harmonica player, bass player, occasional piano player, and a gentlemen on a smaller drum setup. 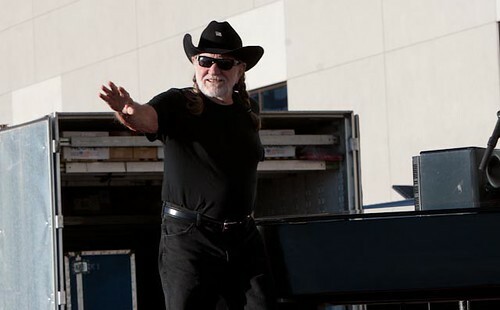 Sometimes the audience was so excited, after or even sometimes before songs would start , they would stand up and scream “We love you Willie” or wave at him. He is quite the legend to have come to Spokane. At the age of 78 Willie’s still kickin’ right along! 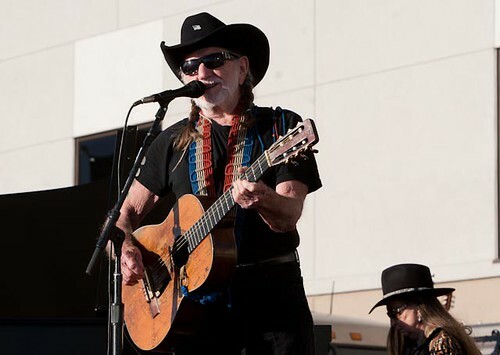 Willie Nelson performed a song for Waylon and one for Hank, along with “Crazy,” “Whiskey River,” “On The Road Again,” “Still Is Still Moving to Me,” “Always On My Mind,” “Mamas, Don’t Let Your Babies Grow Up to Be Cowboys,” “Georgia On My Mind – Hoagy Carmichael,” “Hey Good Lookin’,” “Move It On Over,” “Blue Eyes Crying in the Rain,” “Beer For My Horses” and many more. Every song sounded fantastic! On our way out the door a guy was telling us how pissed he was that he got kicked out from the show for his “good reefer.” We told him we were sorry, but honestly he probably could of just sat by his car and heard the last few songs… it is an outdoor venue. 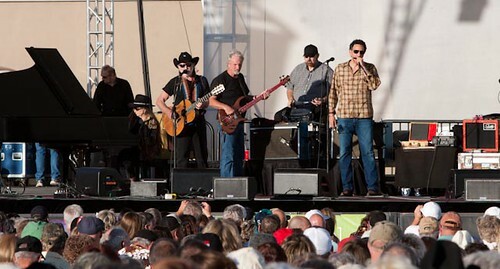 Besides, it’s a Willie Nelson concert no one should get kicked out for that. Photos courtesy of Matt Auclair. This entry was posted on Tuesday, July 31st, 2018 at 7:28 pm and is filed under Photographs, You Tube, Vimeo. You can follow any responses to this entry through the RSS 2.0 feed. You can leave a response, or trackback from your own site.